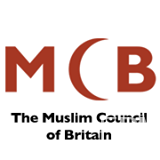 The Muslim Council of Britain is dismayed to learn that a Muslim woman has been stabbed to death in the early hours of Tuesday morning on the outskirts of Colchester. The 30-year-old woman, who was walking on the Salary Brook Trail in Essex, was said to be wearing a blue Abaya and a Hijab. There are reports that she was violently beaten and stabbed, and was pronounced dead on the scene after paramedics tried to resuscitate her. Our thoughts and prayers are with the victim’s family at this difficult time”.